LOL! I'll have to point that out to Tanner. Even Taylor says WallE now! LOL! What an observant boy! haha! So cute! Whenever we drive by Wal-Mart, Rohan chants, "Waw-Mite, Fauw ahpite! Waw-Mite, Fauw ahpite!" Got to love everything that Carter says or any of your kids for that matter! Very Funny! We have yet to see the Wal*E movie. We are real slackers. Good old Wally World will never be the same. Landon always makes us go in the "back door" so he can see the garden center. 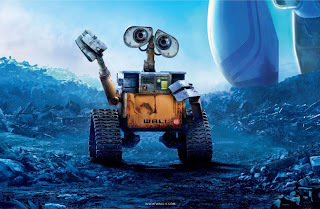 That is so funny - I even made the picture big looking for Wall-E and then continued reading and went "OH". Your son is SO observant! Great story! That's so funny. I really had to look after those first pictures, and after the second pictures, I had to think! Wha....where? OH! lol.! HILARIOUS!!!! I never would have caught it! That is so super funny. Kids say the funniest things. You'll love this Andrew said the other day he knew where he was going on his mission. He said he was going to Deja'vue....He said it was somewhere in Africa. I about laughed my head off. Just like I did when I read this post about Carter. I will never be able to look at Walmart and not laugh. That is so super funny and wow good eyes! i would have never noticed but so super cute! Very clever!